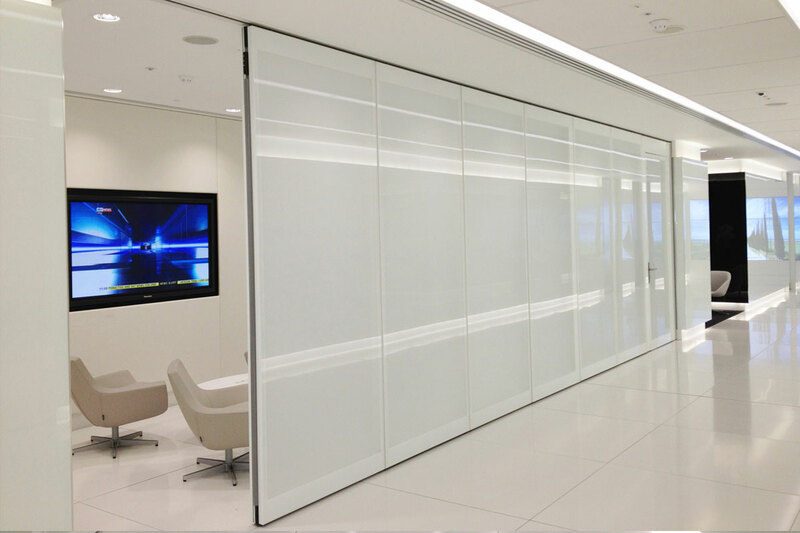 Glazing Panel Width: 9′ 3/4″ min. 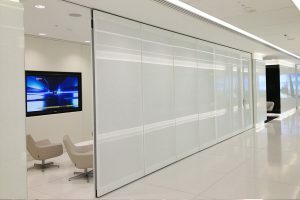 – 36″ max. 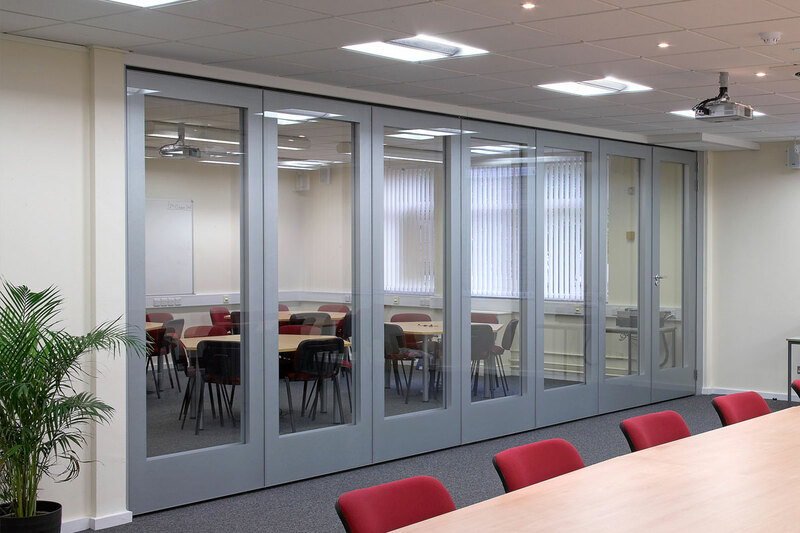 The Movare™ Movable Double Glazed Partition System delivers premium features which include acoustic performance and semi-automatic operation. 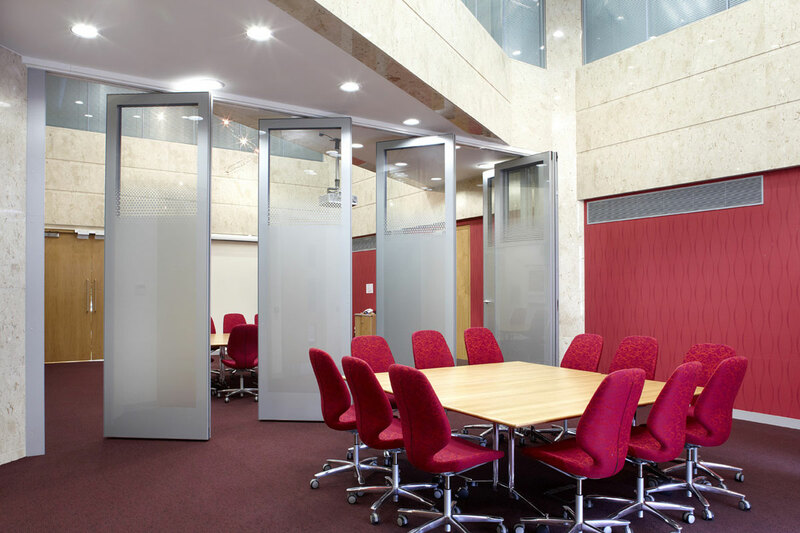 The system has been laboratory tested acoustically rated. 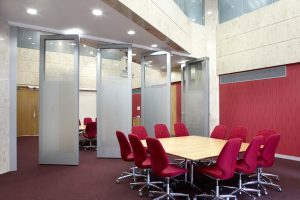 They are ideal suited for hotels and conference centers, corporate offices, hospitals, schools, colleges, universities, churches, and sports and leisure facilities. The system also offers expanding wall jamb manual or automatic, 4″ panel thickness, integral blinds – manual or remote control operation, light weight for acoustic value achieved and no internal door fixings. 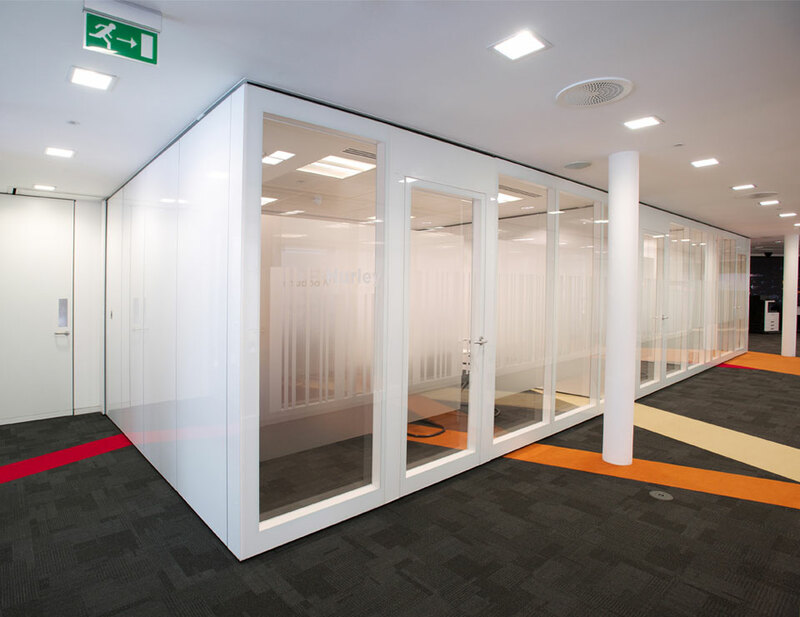 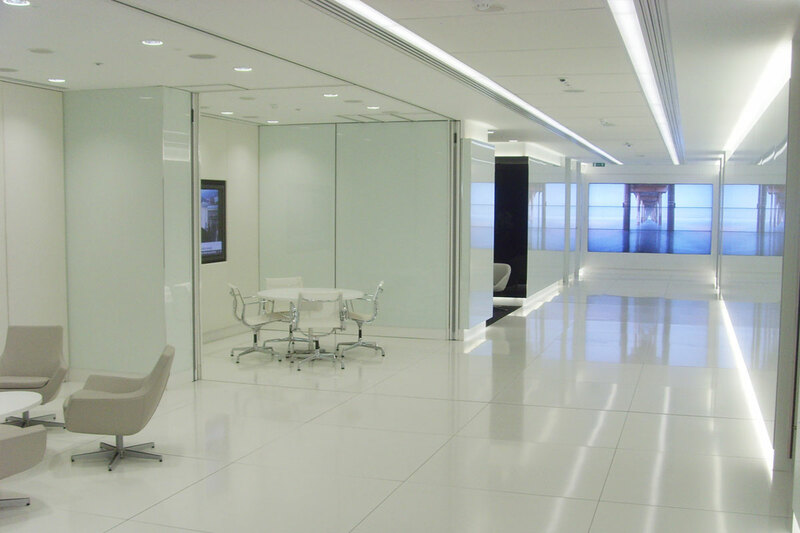 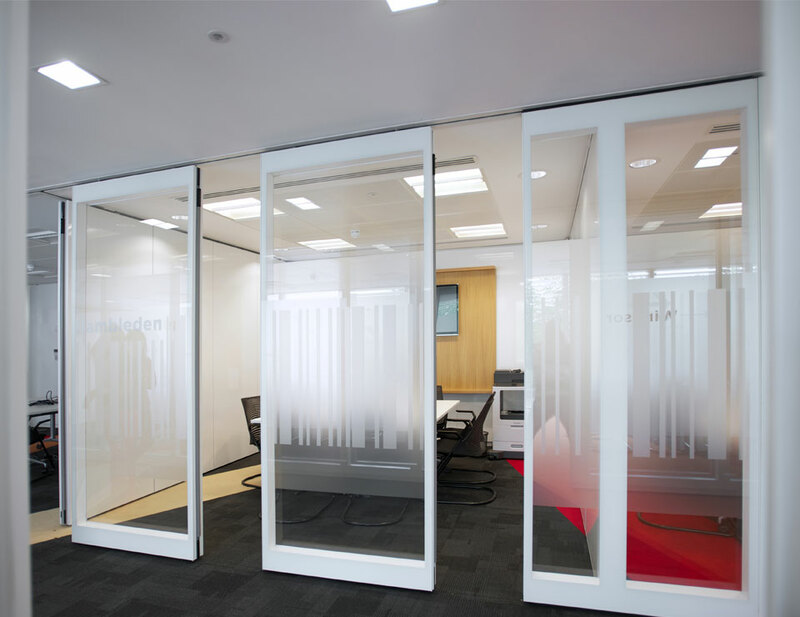 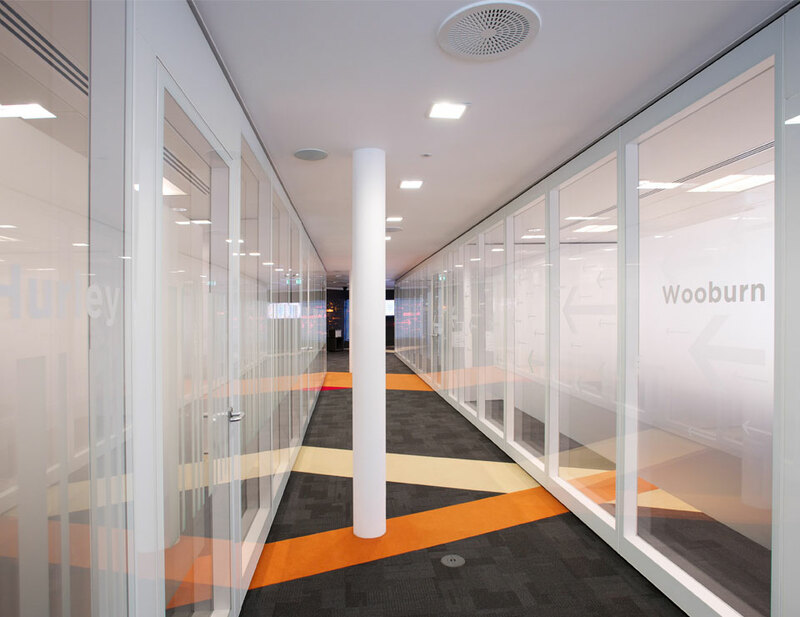 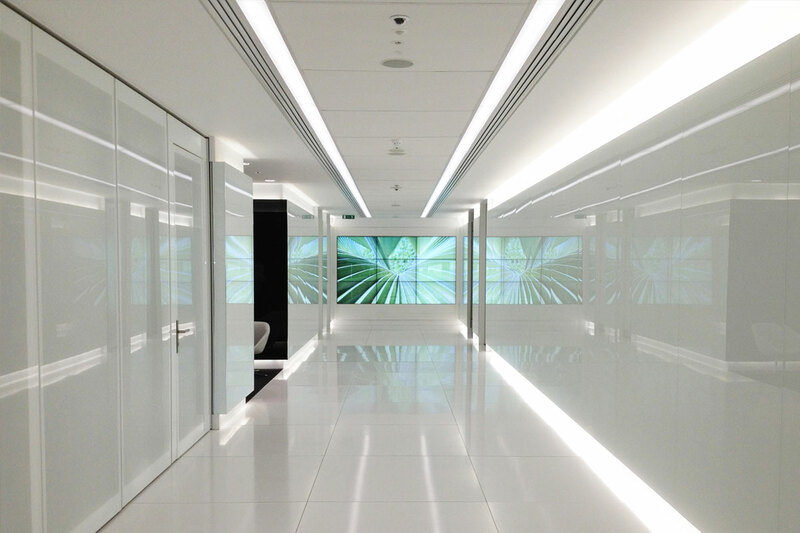 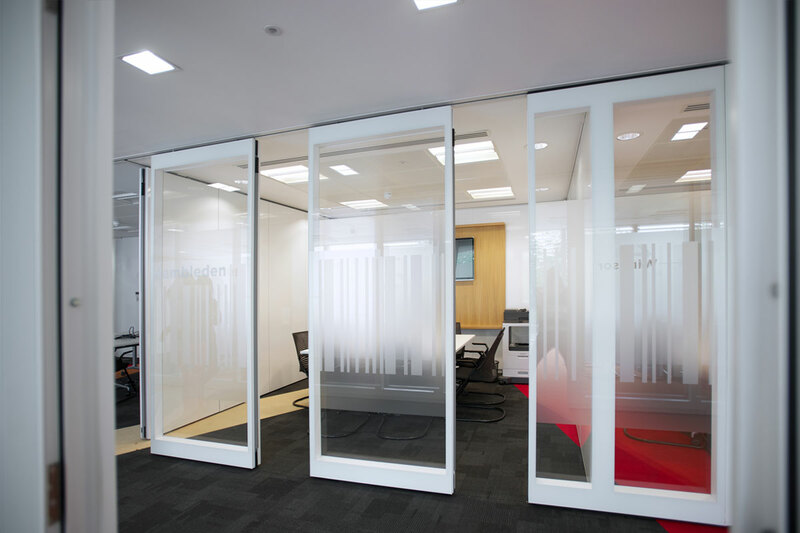 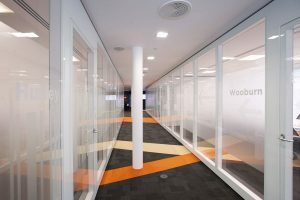 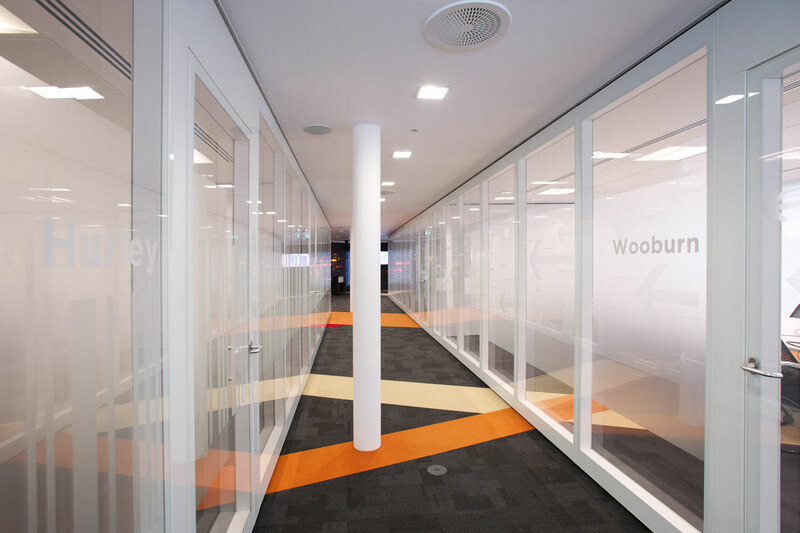 The Movare™ Movable Double Glazed Partition System provides temporary acoustic rated walls to any dynamic space. 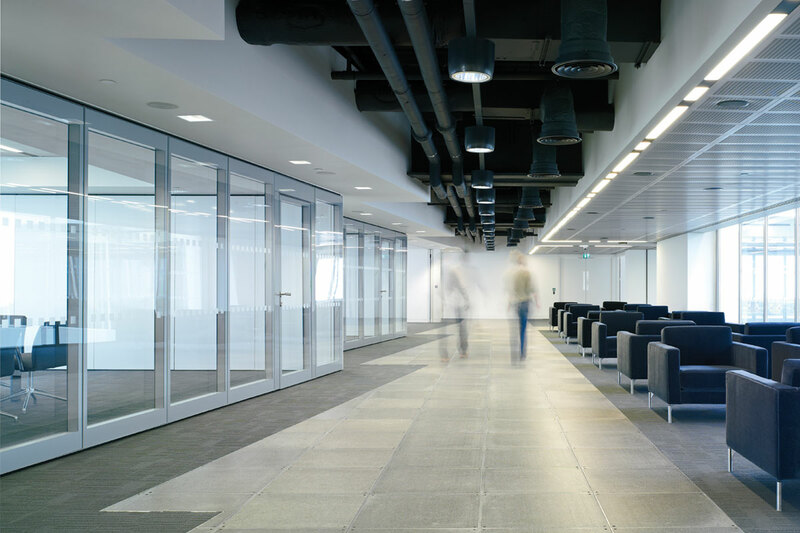 The STC wall rating of 40 dB instantly delivers acoustic performance to areas which require it the most. 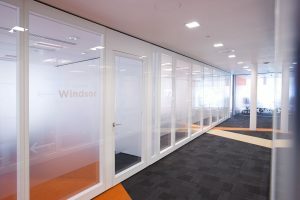 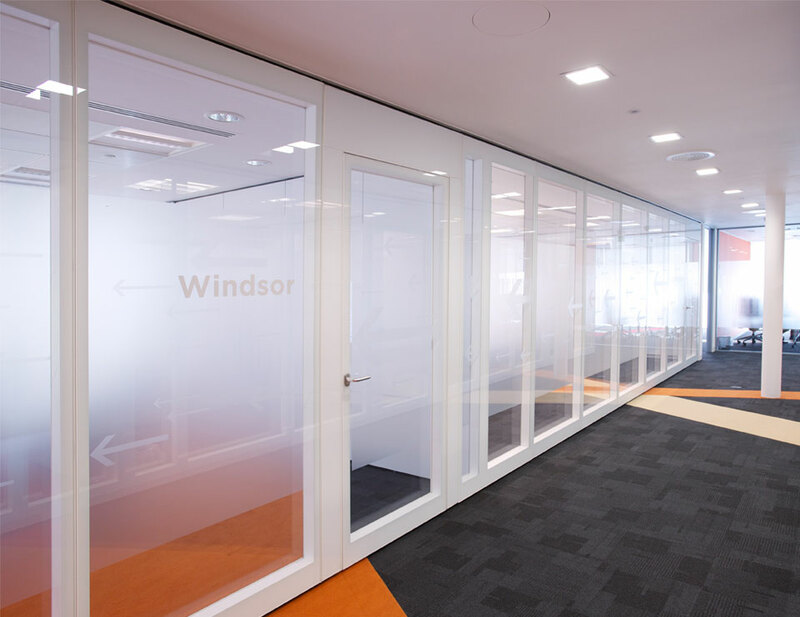 The 4” thick panel provides the option of integral blinds, which allow privacy between the temporarily created meeting space and surrounding areas. 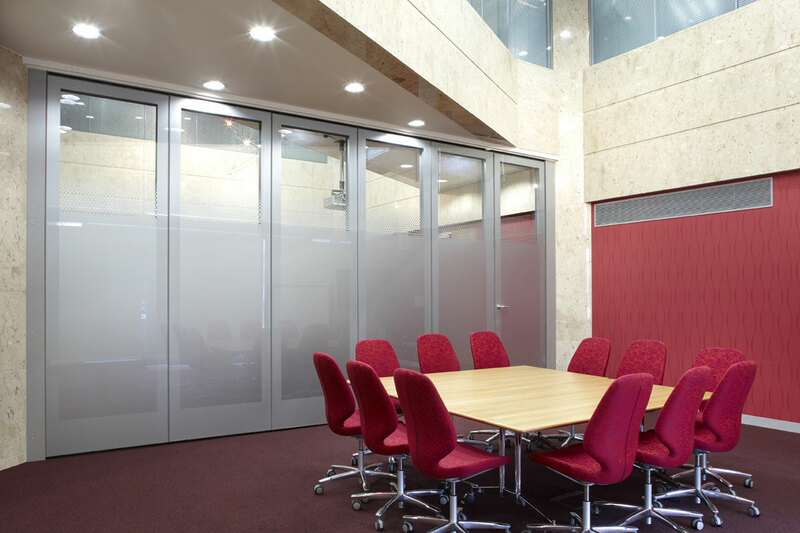 The system is ideal for hotels and conference centers, corporate offices, hospitals, schools, colleges, universities, churches, and sports and leisure facilities. 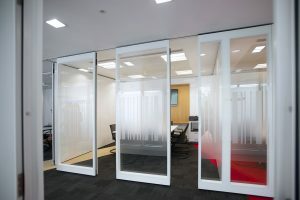 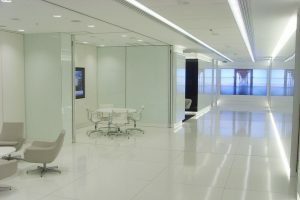 When the Movare™ Movable Double Glazed Partition System is not in use, it may be parked in various customizable configurations that allow it to disappear from view. 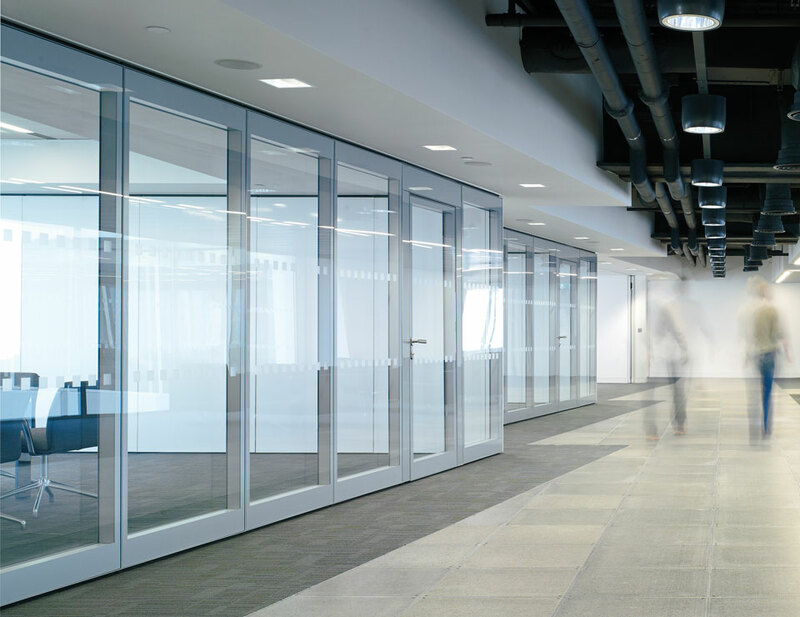 The extruded 4” aluminum track may be configured to park center, side or parallel stacked at one or both ends, with single point, twin point and heavy duty roller options; and may be of standard or custom RAL color. 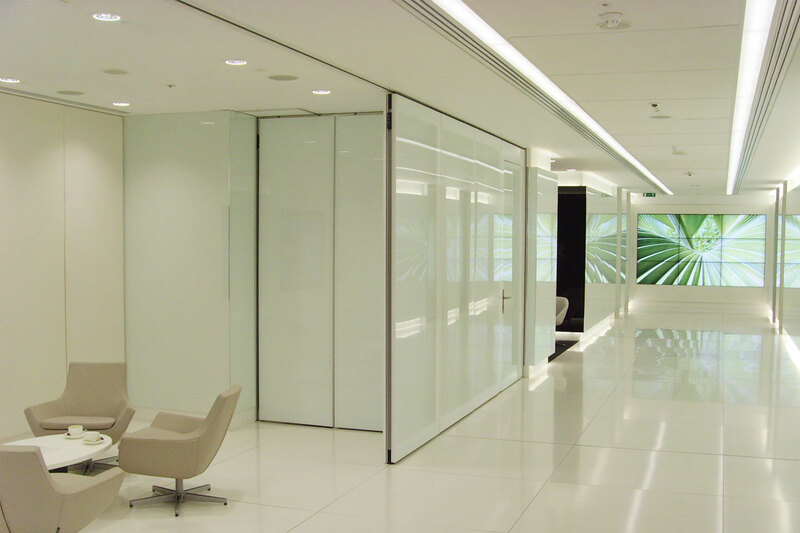 Clear tempered glazing is the installed standard glazing. 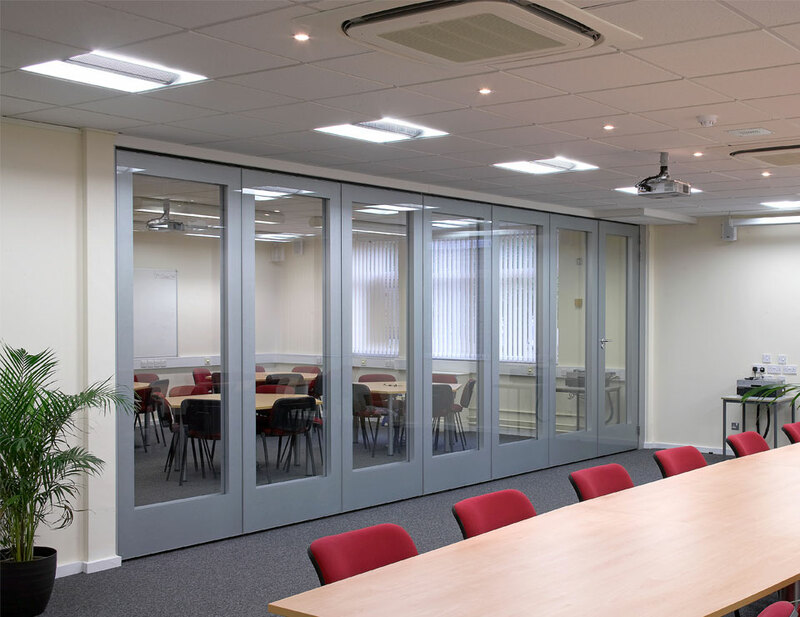 Pivot doors and full height pass doors are available as well as allowing either end panel to be a free swing pivot access door.